In late August 1914 the British Expeditionary Force, in its first major battle, was trapped near Mons, heavily outnumbered and outgunned by advancing forces of the German First Army under Alexander von Kluck. The situation deteriorated until, unable to resist overwhelming might, the British infantry were all but surrounded. The potential loss of almost the whole British Army in Belgium was a real possibility. For days, they Germans kept up a continuous bombardment as they closed the loop around a broken British force. The situation was desperate. With no other options available beyond surrender, a full-scale retreat was ordered on 24 August, in the knowledge that the German army would likely slaughter them. The soldiers knew this. There was no cover to protect such a retreat. And the British artillery, such as it was, had no answer to the long-range German howitzers. As the battalions hastily formed up, and the shells began to rain down, from nowhere a dense bank of fog descended, like a luminous curtain hiding the battlefield from view. The British troops seized their chance and retreated westward, careering blindly away from the German gunners. And as they did so, the soldiers heard hooves and were aware of cavalry galloping among them, shepherding them to safety in the mist. For several hours the battlefield remained shrouded in mist and the British Army made its way west to the safety of Saint Ghislain and Boussu. When, toward sunset, the fog lifted, the army was safe on the road to Boussu and the Germans closed their fist on the evening's empty shadows. General Haig, hearing first-hand from this man of the horsemen telegraphed HQ to know which brigade of cavalry had guided his men to safety so that he might commend their commander for his bravery. The answer from HQ, not long in coming, was brief. There were no cavalry units within 10 miles. They had been deployed to the south two days earlier. The story, published in Evening Standard, spread like wildfire as tales of protecting angels and spectral cavalrymen emerged and proliferated. Stories of spectral cavalrymen and the notion that God was on our side fanned the flames of nationalism, leading to a sharp rise in volunteer recruits in the last quarter of 1914. One of these men was Frederick Mills, my grandfather, who enlisted in autumn of 1914, leaving Liverpool on 9 November to join the King's Own (Liverpool) Regiment. His face is discernible in a postcard of perhaps 500 men leaving Blackpool that day. Next to him was his friend Bob Andrew, who didn't make it to the end of the war. We have many of Fred's letters, written in beautiful copperplate, from early 1915. Many were censored. On 2 September 1915, he wrote optimistically to his parents that he had seen the leave rota and was likely to be sent home a week on Sunday. The next letter we have is dated 3 October from Craigleith Hospital. On 25 September eight battalions of the King's Regiment joined the attack on Loos. More than 100 tons of chlorine gas was used on the first day of battle. Strong winds turned and blew the gas back toward the British soldiers. Fred was caught in this gas and badly wounded. For several weeks he was fed milk, malt and cod liver oil. He was moved to a convalescent home on 4 November and was still hoping to come home in December. There are no further letters until May 1916 when he was in the reserves of the King's Liverpool Regiment stationed at Oswestry. He was now Lance Cpl Mills shortly to be transferred to the 7th King's but not before Bob Andrew, his best friend, was killed. Another gap until 8 September 1917, his first day at Officers training camp. He qualified in November and posed for a photograph in Yarmouth wearing his lieutenant's uniform. 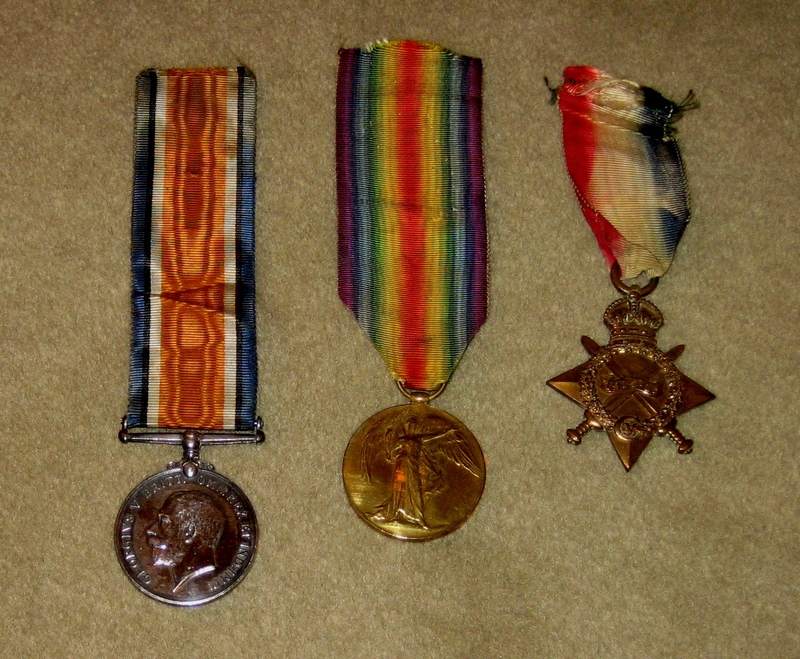 He failed a medical board in November 1917 because of damage to his eyesight and was told he could not return to France. Injuries to his face caused him lifelong problems because of damage to his teeth. Still, he survived and many didn't. In one of his last letters he explained that he was learning to ride. Because all officers had to ride. 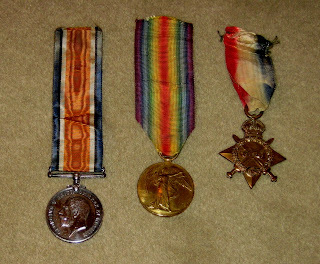 In 1923 he received the British War Medal, The Victory Medal, and the 1914/15 Star awarded to those who saw active service on the Western front.